Last month we looked at some of the most notable moms in geekdom and of course today, we would be remiss if we didn’t do the same for dads. 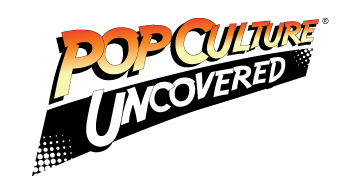 Some of these dads have been role models, others have been cautionary tales and many have just been a stand out in the geek community. Of course not all could make the list but here are some of the most notable. Claim to fame: Considering all that has been happening in the past few years, Burt is the role model that many people need when it comes to tolerance in the LBGT community. He is a parent who epitomizes what unconditional love is all about when it comes to being there for his son when others even in real life, aren’t. Claim to fame: Commissioner Gordon has been through hell and back. For all of these years he has supported Batman’s activities, he even had to become supportive of his daughter’s as well. In the old DCU he revealed that he knew Barbara’s dual identity and in the recent new 52, he showed at what lengths he would go through to make Gotham safe for his family and even got to find out what life was like being Batman. He is supportive, tough and willing to lay down his life and that is Jim Gordon. Claim to fame: Well, he spent part of his life as a slave, another part in a space monastery. Then of course he was seduced and coerced by a cougar into marriage. On top of that, a government official pushed him into a homicidal rage, which led him into having to use a life support suit the rest of his life. He tortured a daughter he didn’t recognize, nearly killed his son not once but twice but he died a hero when he corrected a mistake that could have been rectified nearly 30 years prior. Not to mention, his grandson looks up to him as well. Claim to fame: If you think you have it bad, try waking up out of a coma into a zombie apocalypse. You do what you can to find your family and then you somehow become a leader to look up to. Through all of this you have to raise your son (who loses an eye) to teach him that this new world is not the world you came up in. But for all that you do, even when it comes to making tough decisions, your son sees what it takes to be a good dad. 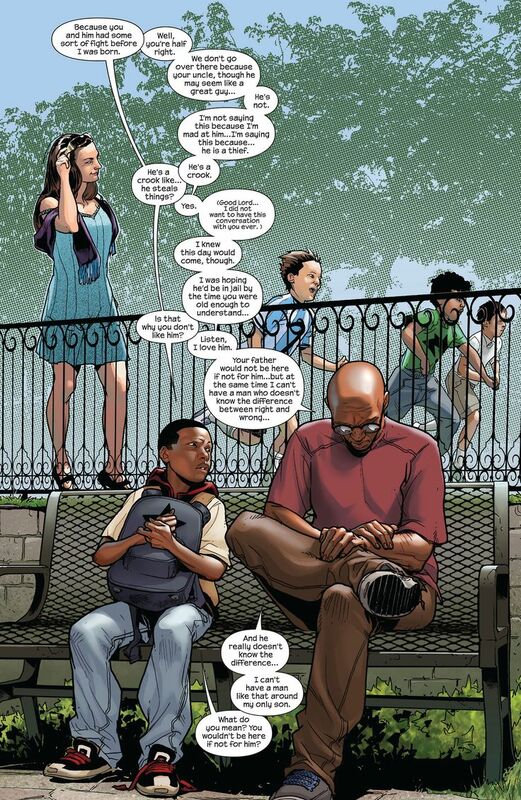 Claim to fame: Miles Morales is getting something that Peter Parker never had and that is parental support. For Davis, being a father to a spider-man has been very difficult because of so many secrets he kept, including him being a former criminal and an agent of S.H.I.E.L.D. Davis has worked hard to do his best to make sure that Miles didn’t grow up in the same environment as he did. Miles is in one of the best schools he could be in and Davis does his best as a member of the NYPD. Now that he knows his son’s secret identity, he has done his best to support it although he knows what being part of that world and dealing with S.H.I.E.LD. is like. Claim to fame: One could just say Green Goblin and be done. Norman is easily the most recognizable of villains in Spider-Man’s rogue’s gallery and possibly one of the worst fathers. Let’s see, he got Gwen Stacey pregnant, inflicted severe emotional trauma on his son Harry to the point that he changed his last name, manipulated the media and the government into becoming a leader of H.A.M.M.E.R. and the Thunderbolts. Wait, that’s not enough, he also got Harry’s girlfriend pregnant as well as turning her against Harry by giving her a version of the Goblin Serum. One can only imagine what his imprint upon the world will do to his grandkids. He definitely is not father of the year material. Claim to fame: Against his better judgment, he allows his daughter to go to Europe. She gets kidnapped and once he gets on track to finding her, he wreaks a single-minded path of destruction on the way to getting her back. He shows why bad guys shouldn’t mess with the kids.